Engine fully serviced end of season 2017. Calorifier fitted to provide hot water, heated by the engine or 240v shorepower. Full cockpit enclosure with frame included. Please note; Inflatable and outboard engine not included. When Jeanneau introduced the Merry Fisher range of boats, it was obvious that they had conducted some thorough market research. This was evidenced by the versatile, practical boats that were produced. The Merry Fisher 695 is no exception and boasts all the fishing and day trip potential of the smaller Merry Fishers whilst also giving the extra flexibility of sleeping, and cooking on board as well as the privacy of an enclosed heads compartment! This clever culmination of boating requirements results in a boat perfect for family days out and weekend getaways, as well as fishing and diving trips. The powerful Volvo Penta engine lends itself to all of the above, combining speed and efficiency excellently. This example is in top condition and a credit to her owner! She has been well maintained and benefits from recent upgrades including 240v shorepower and a hot water system. She is a sturdy sea boat with a good sized cockpit and wheelhouse sleeping 3 in a comfortable cabin. A full cockpit enclosure is included for when the weather turns and it's always nice to have a bow thruster available for manouvring in a tight marina! 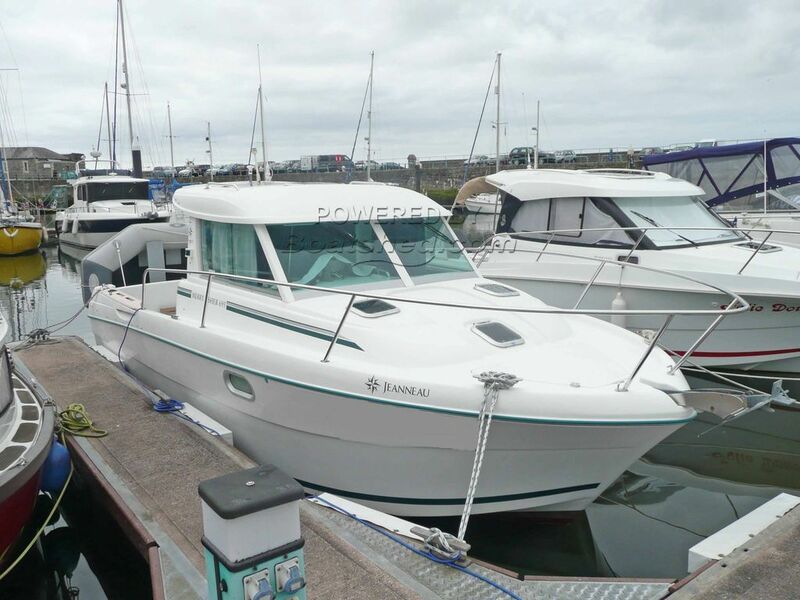 This Jeanneau Merry Fisher 695 has been personally photographed and viewed by Chris Tindall of Boatshed North Wales. Click here for contact details.